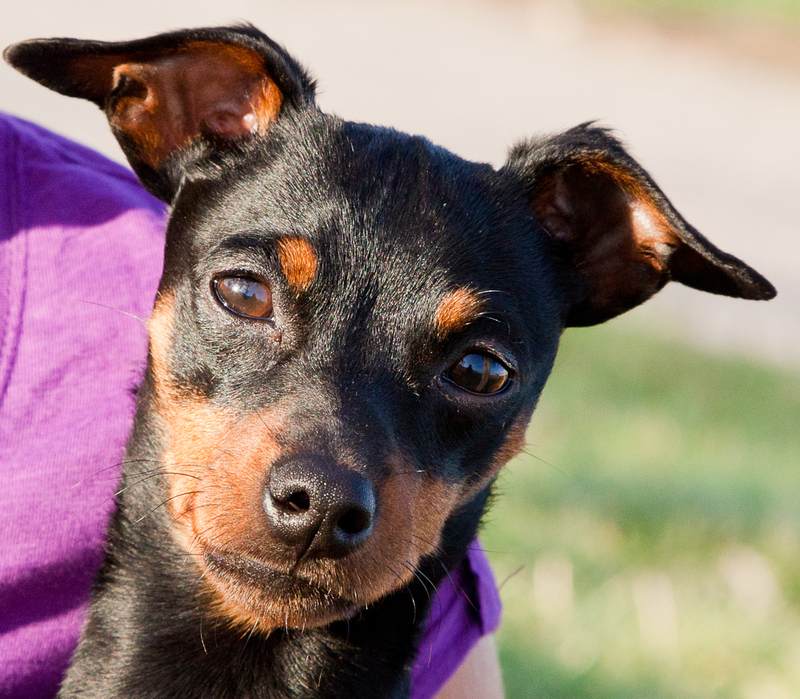 This tiny Miniature Pinscher is just a handful of cuteness. 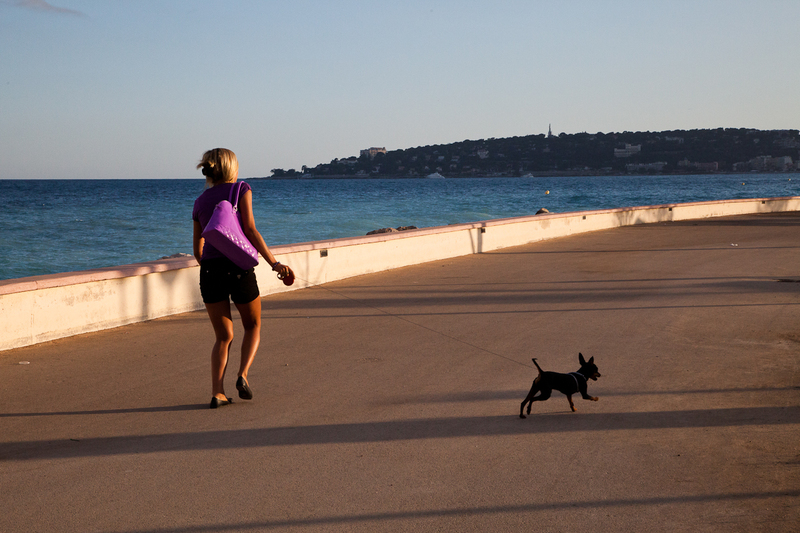 She's called Greta, is 4 months old and she was running around Menton with her pretty owner. She lives in Alassio in Italy. Beautiful Lady,darling dog.Was trying to decide if her lovely necklace was a miniature dog bone. glenda, yes it could be! It's either a bow - like a bowtie or a dog bone. I love the last shot - so sharp & great light! This looks like the right dog for a young petite woman with well-coiffed hair.